While No. 1 Alabama rested at home in the second weekend of the 2013 season, things in the Crimson Tide’s own conference and around the country got a bit of a rattling. Georgia, which dropped a tough game to Clemson last weekend, rebounded with a victory over top-10 South Carolina, reviving their BCS strength and giving Clemson’s win all the more luster. And yet, the Tigers fall a spot in the BCS, landing just behind No. 3 Stanford in this week’s simulated BCS rankings after the Cardinal made their season debut Saturday. 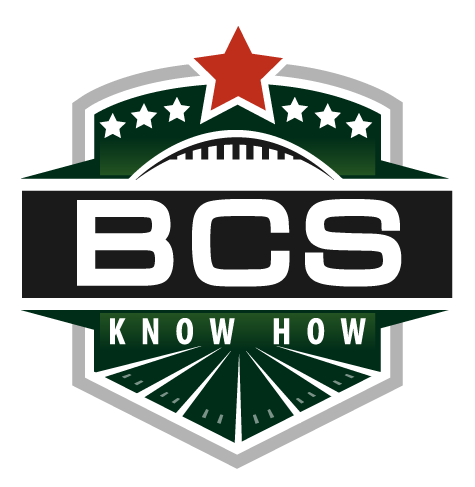 We’re ONLY using the available, reasonably well-connected and up-to-date BCS computers, which at this point is just Massey’s non-BCS, Sagarin’s and Billingsley’s rankings. As the various computers are released before the start of the season, we’ll add them here and update the standings. South Carolina’s loss actually turned out to help along teams unconnected with the early results. Teams like Stanford, Texas A&M and even Oregon picked up some of the points the Gamecocks vacated, as their BCS stock was strengthened while Clemson took a slight hit. The computers also helped Stanford into the third position, as Billingsley named Stanford its No. 1 team this week, while Sagarin left Clemson out of the top handful of teams all together. Louisville and Ohio State, which were keyed here early as teams lacking in computer faith, got a little boost this week, but still need plenty of help from their upcoming schedule to invigorate their respect in the mathematical element. The numbers, at least now, are not in the Buckeyes’ and Cardinals’ favor, but that could change as we move forward. Alabama and LSU might once again lead the simulated BCS rankings after two weekends of action, but after a handful of upsets and surprises, the rankings are anything but stagnant after two weeks of simulating the BCS. 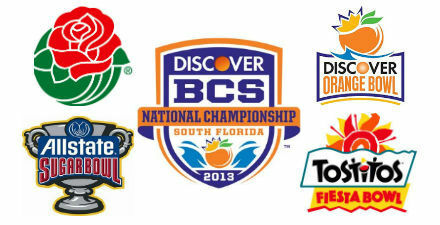 The fearsome foursome — the Crimson Tide, Tigers, Oregon and USC — continue to lead the simulated BCS rankings. USC, despite holding an edge on the Ducks in both polls, are undone by a far weaker showing in the computers for a second straight weekend. The surprises begin early this week, as South Carolina lands at the No. 5 spot to give the SEC three teams in the simulated top five. The Gamecocks land just ahead of Oklahoma and Michigan State, both of which bow barely more than .01 behind South Carolina. The Gamecocks were the beneficiaries of level support among all elements, while the Sooner suffer from a No. 23 ranking from the early Sagarin rankings, and Michigan State still trails both teams in the polls. If any team is truly undone by a component, however, it is No. 10 Florida State, which rests comfortably the top six in both polls, but ranks below the point-receiving threshold in all three available computers, pulling in a zero aggregate computer score. No. 8 Georgia and No. 9 Kansas State see stark improvements in the computer rankings and polls, in large part as a result of space created by the upsets of the weekend. 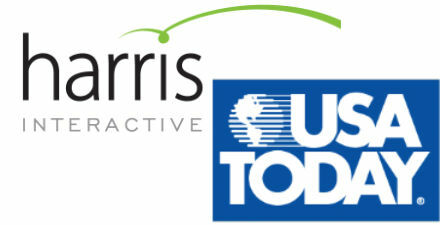 Without the Harris Interactive Poll (1/3 of the formula) and three of the six computers (all six of which account for another third), these rankings are about 50 percent “complete.” What we do have, however, is the USA Today Coaches’ Poll, as well as early looks at Kenneth Massey, Richard Billingsley and Jeff Sagarin, for what we’d call a 50 percent confidence that these rankings are a “good” reflection of the BCS. We took a computer aggregate without eliminating any of the three available to keep extra transparency, but kept the formula for the human elements intact while subbing the AP Poll for the Harris Poll. On the strength of their victory over Washington, LSU is your new No. 2 team in the USA Today Coaches’ Poll, as the Tigers pass USC, who falls to No. 3. The real story of the weekend was the upsets suffered by Oklahoma State, Arkansas, Nebraska and Wisconsin, which all see their stocks plummet in these rankings, as well as in the AP and in the various computer elements. Oregon and Oklahoma round out the top five in the Coaches’ Poll, as neither struggled much this weekend. Much of the top 10 remained stagnant, as starting with No. 10 Michigan State, teams begin to enjoy bumps from those who had occupied those spots falling over the weekend. It could have been a classic transition week, just another set of games getting us closer to the thick of conference action. Instead, we got some key upsets — many involving Big Ten schools — with enough implications to throw the early bowl picture into a bit of a tailspin. Rose Bowl Oregon vs. Michigan St.
And yet, some of the nation’s best — including the already anointed four of USC, Oregon, LSU and Alabama — had a simple time of it in week two, and continue to look the part of BCS bowl bound squads. Teams are still working their way into midseason form, so it can often feel like it’s too early to look into this crystal football, but we’ve learned plenty in two weeks. What will we learn next? Comment: Around this point in the season, it’s easy to slip up, stumble or even lose to the unranked foes that usually stand in the way of the big dogs. LSU and USC could have struggled — like so many others did on Saturday. Both took care of business. And neither looks any less the national standard-bearer for college football than last week. Comment: The Big Ten had a rough, rough weekend — Wisconsin lost to Oregon State, Nebraska dropped a tough one to UCLA, Michigan struggled to stay on top of Air Force. Other key conference members suffered losses. But above the struggles stands Michigan State, which has enjoyed one of the more impressive first two weeks in the country, and now look like the class of the eligible conference members. With that in mind, the Rose Bowl would be the reward if the Spartans can continue this hot start. Oregon has been equally impressive in the first two weeks, and if they are unable to grab the Pac-12 conference title, they might land here, in the Rose Bowl as a replacement for the title game-bound Trojans. Comment: Alabama and Oklahoma took week two by storm, handling their lesser opponents with ease. With LSU headed to the title game, Alabama would be a nice fit here. Oklahoma, as a Big 12 runner-up, would be a great get as an at-large for the bowl, as well. Comment: Strong performances from Florida State and Louisville make the two squads look the part of conference favorites. As ACC champions, Florida State lands here by bowl fulfillment contract, and Louisville lands here as the last at-large selection — automatically so by winning the Big East. Comment: While Wisconsin was unable to even beat their tough foe on Saturday, Michigan was able to top Air Force, a tougher foe than many might have expected. With this in mind, Michigan might turn into the better option as an at-large selection from the Big Ten, and a strong fit here in the Fiesta Bowl. Especially if Michigan can stay BCS eligible without risking a loss in the Big Ten championship game, the Wolverines could be sitting pretty for a BCS bowl bid. As champions of the Big 12, dangerous West Virginia gets a comfy spot in the Fiesta Bowl.